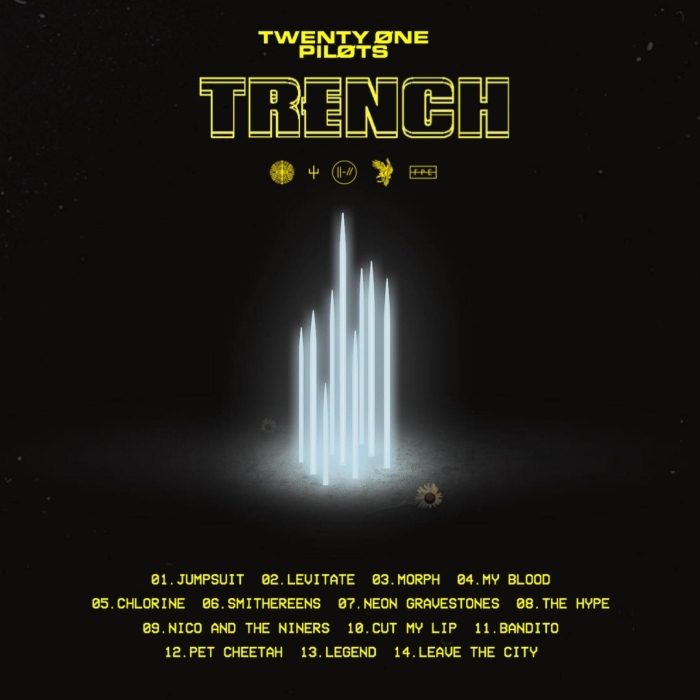 "Trench" is the fifth studio album by American musical duo Twenty One Pilots, released on October 5, 2018, through Fueled by Ramen. It is the band's first studio album in three years and serves as a follow-up to their fourth studio album, Blurryface (2015). The album is also the first release of the newly revived Elektra Music Group. The growth that Twenty One Pilots have shown is nothing short of spectacular. After the release of Blurryface I was worried that they would follow Fall Out Boy and Panic! At the Disco by taking a more accessible pop route. To see Tyler and Josh go in the opposite direction and being more experimental than ever is a huge relief, as they’ve crafted their finest and most mature effort since the self-titled. The soundscapes are incredibly varied yet consistent thanks to the band’s focus on aesthetic. With album five, they’ve perfected their “schizoid pop” blend of hip-hop, indie rock, and electronica. One of the most striking things about this album is, save for improved drumming, the whole album was produced by Joseph himself in his home studio. With only minor input from MUTEMATH’s Paul Meany, this showcases Tyler’s growth not only as a musician but as a producer as well. This is an album of singular vision, untainted by expectations and ready to meet the world head on. Welcome to Trench. It’s one hell of a ride. Reviewed by Nathaniel for sputnikmusic.com.